Every day our pets give us a lot of pleasure. But at some point it is time to say goodbye to our dearest fellow creatures. Who has given us so much in life, earns honor of its memory. We advise you about the different possibilities to say goodbye to your pet in dignity and are available for you around the clock. Under the telephone number +43 – 1 – 523 46 79 (available 24 hours a day) we will be pleased to answer any questions about the cremation of your deceased pet in the animal crematory (Wiener Tierkrematorium) as well as concerning a burial at the pet cemetery (Tierfriedhof Wien). 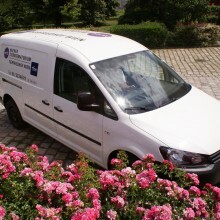 The City of Vienna and its competent partners ensure the reliable completion of your concerns. The Wiener Tierkrematorium GmbH is the only company operating its own crematory site in Vienna. Spare your beloved pet the long collective transports in other federal states or even abroad. Since the founding in 1992, we have made it our mission to provide a dignified alternative to the traditional carcass disposal. 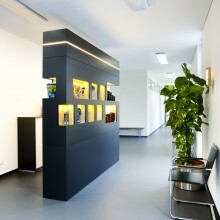 Since 2011 we offer a respectful and modern atmosphere in the newly built crematory site in Simmering, Vienna. By appointment you have the opportunity to visit the new Wiener Tierkrematorium during the opening times. Subject to availability, instant cremations are possible. Please contact us. The ashes of your pet can be handed over on the same day. The waiting time depends on the body weight. In case of telephone malfunction please call +43 – 1 – 7676176. 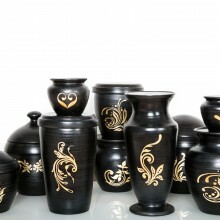 Here you can see a selection of custom-made urns, which our customers have already ordered. 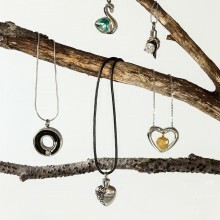 By inserting small quantity of ash our commemorative jewelry allows a personal connection to your pet.